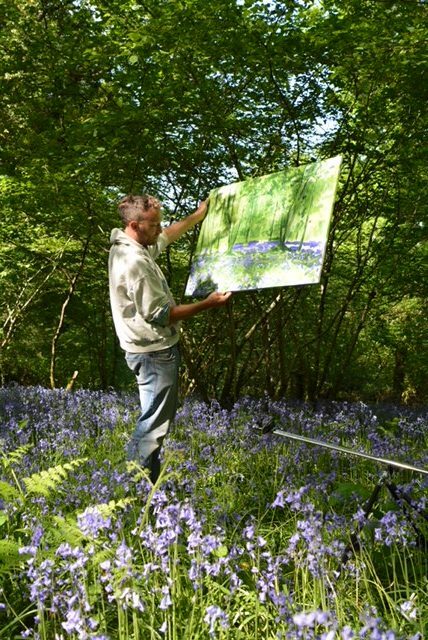 Joe’s work simply records the joy of being in the natural world. I grew up weather-beaten and windswept painting the raw, wild and unforgiving landscape of Cornwall’s Atlantic coastline, where huge roaring breakers relentlessly smash into the soaring, jagged cliffs. From a very young age I revelled in venturing out into squalls and being blasted by hail or foam, immersion in this environment is for me invigorating, humbling and is intimately my home. Today painting and travelling internationally I am drawn to the same wilderness in order to confront and challenge my sense of self and place. My aesthetic and process plays between abstraction and realism working to expound the familiar yet magnificent and sometimes challenging British landscape, mirroring and embodying the natural world as beautiful and brutal, nurturing and violent, gentle and demanding. By painting outdoors in the way that I do I am embracing risk and surrendering to nature, many paintings are lost to the elements but those that survive the challenge are often the most rewarding. Grasping the fragile creative process itself by using water-based media outdoors and through working in adverse environments or timescales brings both a greater risk of failure and consequentially the potential for greater learning and outcomes. Embracing our vast environment in this way, is for me, a conscious social and political process, at its best my work, whilst depicting our place in the world becomes elemental, I feel tiny and modest, full of purpose, closer to understanding, respecting and valuing our environment. I love being outdoors, I love working outdoors, it gives my paintings purpose and energy and it makes me feel alive, charged and part of something greater than myself. For education and exhibition history, take a look at Joe’s CV. 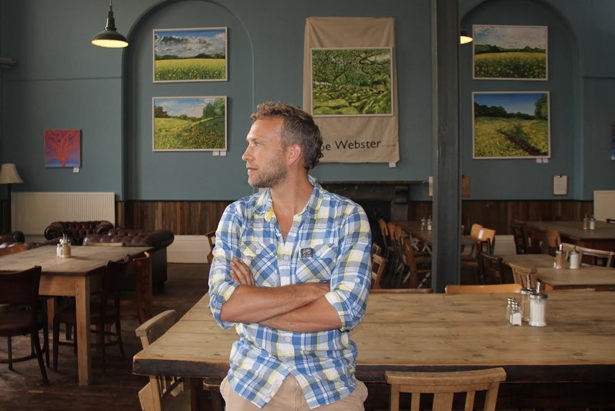 Find out the latest news on Joe’s exhibitions and workshops here.